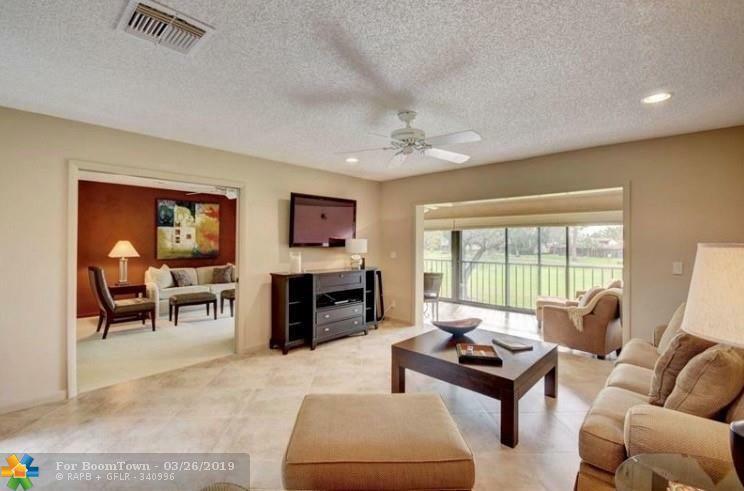 Must see, immaculate 2/2 den in The Palms of Boca Lago. 24" porcelain tile laid on diagonal in living areas and carpet in bedrooms. Home is full of decorator items with plantation shutters throughout. 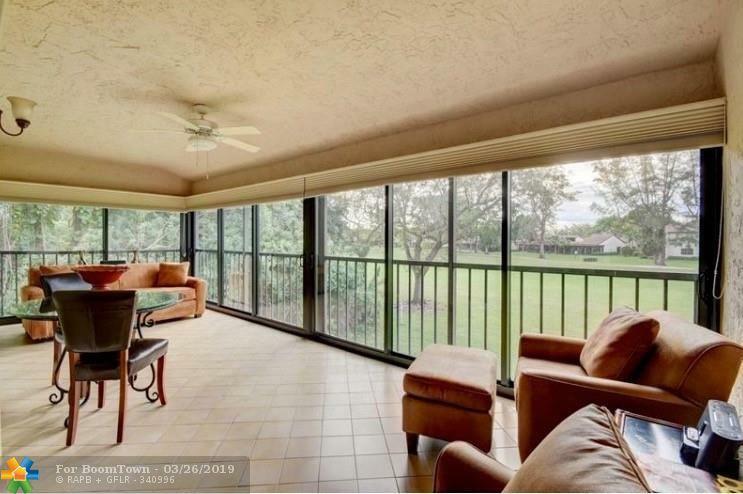 Impact sliding windows in enclosed patio. View of Boca Lago South course hole number 3.The den has built in closets and can be used as 3rd bedroom. Unit is beautifully furnished. Furniture is negotiable. 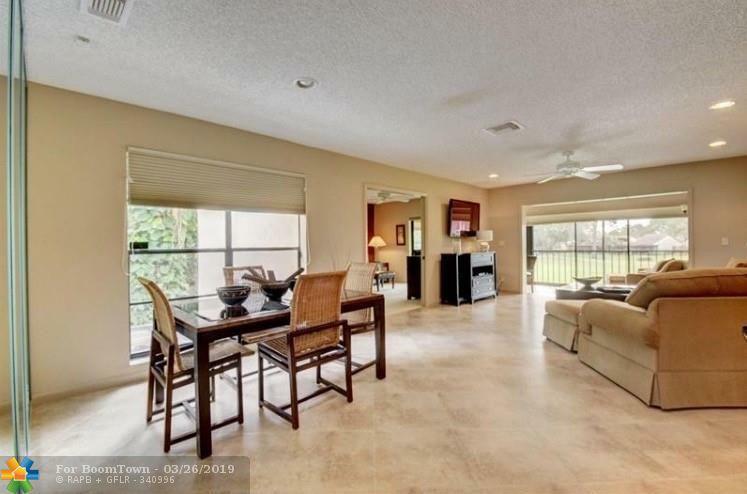 The Palms is a small condo community with only 36 total units.Enjoy country club golf setting without requirement of membership.The Palms of Boca Lago is a 55+ community, no residence under 18, no pets, no trucks, no leasing 1st year then only once annually with 90 day minimum. 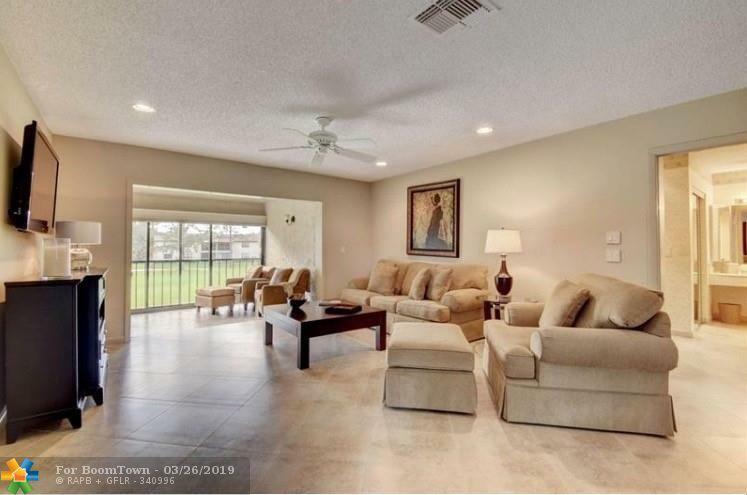 This listing is courtesy of Security Real Estate Services.